Please welcome author Deb Vanasse to this week's Writer Wednesday. Deb is the author of several books but this week I'm featuring her second Young Adult book, Out of the Wilderness. 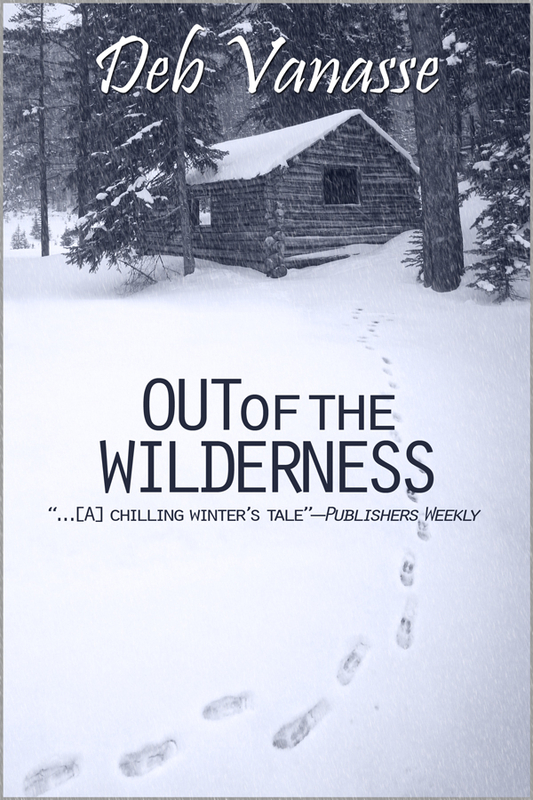 This week Deb shares with us a glimpse into her writing world and her inspiration for Out of the Wilderness. Deb's book sounds like a great read and I can't wait to dig in. How about you? Where Book Ideas Come From? Where do you get your ideas? Along with questions about how books get their covers, this is a question I’m frequently asked as a writer. A book idea is a big thing to pin down. To truly know what your book is about, at its deepest level, you have to write it, and because of the way the subconscious works, it ends up with interwoven ideas that come from a number of places­—life, suggestion, dreams, landscape—that may or may not be identifiable. I don’t mind talking about ideas once the book is finished, as long as my readers understand that as the author, I may never be 100 percent sure of where my ideas came from. Out of the Wilderness, my second young adult novel, began back in 1992, though I didn’t know at the time that a book idea was in the works. I was living in Fairbanks, Alaska, teaching high school. The school year had just started up when the newspaper reported that the body of 25-year-old Christopher McCandless, who called himself Alexander Supertramp, had been discovered in an abandoned bus on the Stampede Trail, less than 100 miles from where I was living. When found, McCandless had been dead for three weeks. His body weighed 67 pounds. Strong-willed and idealistic, Chris McCandless had, upon graduation from college, given away the $24,000 that was intended for law school and begun traveling the country under his Supertramp alias. He went west from Virginia to South Dakota, Arizona, California, and into Baja, Mexico, before heading north to Alaska. Grossly underprepared for the wilderness, he hiked into an area north of Denali National Park and Preserve, where he survived for 112 days until he died. It should be noted that stories like those of McCandless tend to raise the ire of Alaskans. You don’t go into the Bush unprepared. Period. If you don’t respect this country and its hazards, you shouldn’t be here. Still, I found the story fascinating. So did Jon Krakauer, who wrote about McCandless for Outside Magazine in 1993. Expanding on the article, Krakauer released a nonfiction book, Into the Wild, in 1996; Sean Penn directed a film version of the story in 2007. 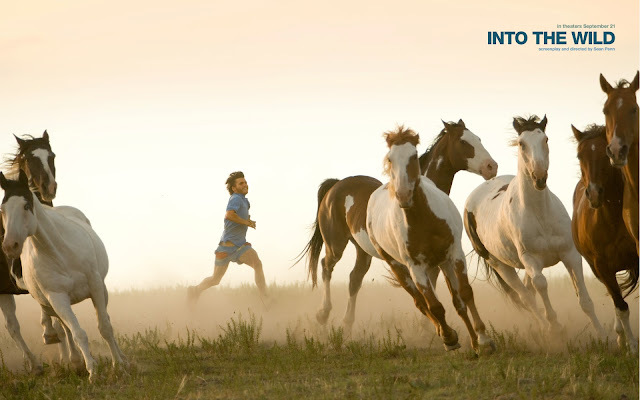 Into the Wild. Out of the Wilderness. When I first came to Alaska, I lived in some pretty remote places, accessible only by bush plane, motorboat, and snowmachine. Then I had children and, partly for their benefit, I’d moved from the Bush to Fairbanks. As they grew, I sometimes thought of how nice it might be to return to a simpler lifestyle in a more remote place, where we wouldn’t have to concern ourselves with TV or after-school activities or getting along with the neighbors or buying the latest trend in shoes. Then I thought of what that would be like if I were the kid, not the mom. If I were a fifteen-year-old boy who wanted his life to be normal for once. If the boy’s older brother were a guy like McCandless, idealistic and stubborn and reckless. If their father’s guilt kept him from thinking straight about the whole situation. There you have it—the ideas that developed into a story, the seeds planted long before the harvest, the inspiration in part, as for many writers, by the work of another author. There’s a lot more to it, of course. Pieces of my own life found their way into the story—the missing mother, my affinity for place, the tension between responsibility for others and my own desires, guilt, not knowing my brother as well as I wanted to, and likely a bunch of stuff I’ve yet to identify. Deb Vanasse (@debvanasse) is the author of several books for children and adults, including the Junior Literary Guild selection A Distant Enemy and Battle Books Totem Tale and Lucy’s Dance. Her twelfth book, Black Wolf of the Glacier, is a 2013 release by the University of Alaska Press. Her current projects (for grown-ups) include Cold Spell, a novel about a woman who’s obsessed with a glacier, and a narrative nonfiction book called Wealth Woman: Kate Carmack and the Last Great Race for Gold. You’ll find her at www.debvanasse.com, https://www.facebook.com/debra.vanasse, and www.selfmadewriter.blogspot.com, where a version of this post ran eariler.